WE were fortunate to catch up with Carl Ashlin from Huonville the other day, when he rolled into the Caltex at Epping Forest for a cuppa. Our eye was immediately taken when we saw the truck, for it was in fact Spencer Griggs's gleaming and brand new R-620 Scania Euros with a loaded triaxle stock crate. 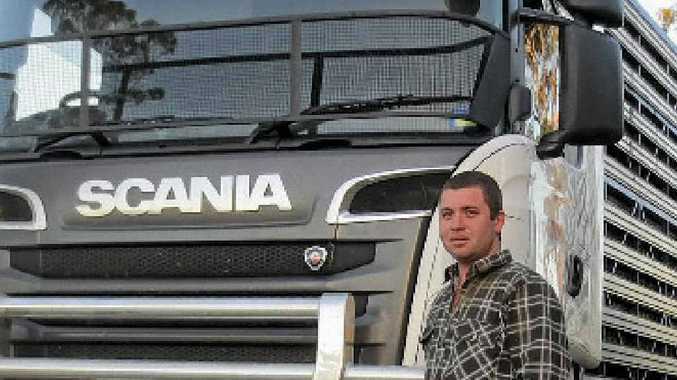 Carl was on his way from Huonville to Devonport, and he tells us that he has been with Spencer for eight years now, and that he is rapt in the new comfortable Scania which really lives up to its outstanding reputation in every way. He added that Spencer is a great boss, and that he likes the variety and freedom of working stock.